Automatically turn on the lights! Crownstones use the position of your smartphone or wearable through measuring Bluetooth Low Energy signals (see the Technology page. Crownstones can immediately act upon your presence because they are integrated in a power outlet or power plug. It switches on the light when your in the living room automatically (after dark of course). Summarized, they can do anything a current smart plug does and more! 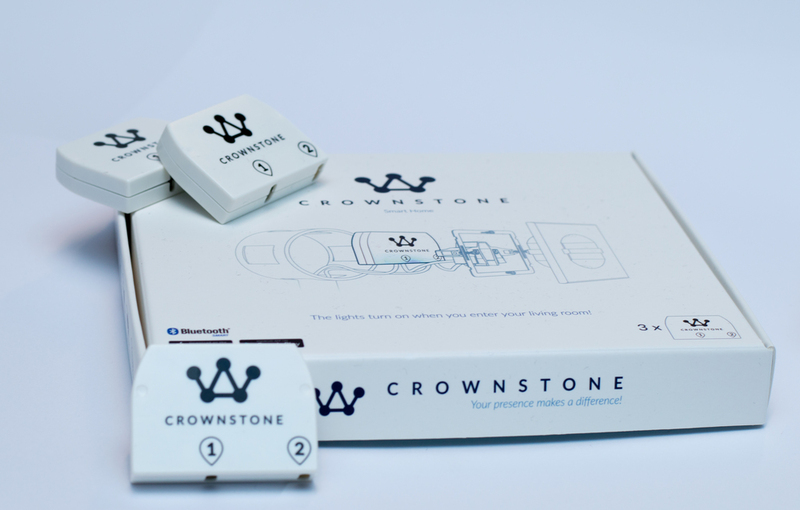 A Crownstone is a switch, a dimmer, a presence detector, and a power monitor, all in one. Moreover, it uses AI and is open-source. This means that its functionality improves over time and that its functions can be extended by many software developers. Crownstone’s secret sauce is indoor positioning. The Crownstones know where you are if you carry a smart device with you. This can be a phone, a fitness wrist band, or a key tag. There is no need anymore to (1) get your phone, (2) unlock it, (3) open an app, (4) navigate to the right screen, and (5) click some button! Your smart home automatically reacts to you entering a room! It turns on the lights for you when you enter with your hands full of groceries and two little kids. 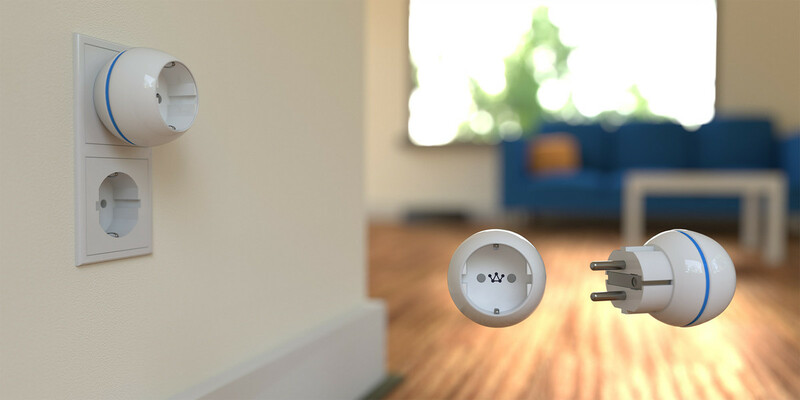 It switches off energy-hungry devices automatically without you having to think of it! It turns of an electric device if you forget! It wakes you up by switching on the lights in the bedroom. It makes sure your little kid cannot use the microwave or drill if you’re not there! Finally! Now, because your home knows where you are, it can become smart for the first time in history! The Crownstone plug (shop) is plug-and-play! Just download the Crownstone app and any device that you plug into it can react to your presence. Use the Crownstone plug behind the Horizon television box if you want to save € 61 per year (see 38 Watt in stand-by). Plus, it won’t be so slow when starting up from stand-by anymore! Or put a few of them behind your lights in the living room if you’re tired of doing the rounds flipping ten switches each night! Or put one wherever your kids are always forgetting to switch off the light! Crownstone is social hardware: send a sweet message! If you have four or more Crownstones they can start to pinpoint your location per room. Crownstones are self-learning. You walk a few rounds in the living room and then tell them that this is the living room. You do the same in the kitchen and the Crownstone AI learns automatically that that is the kitchen! If you are renovating your home or if you like to to have your home smart without having plugs in each power outlet, you can do this as well! The built-in Crownstone (shop) is thin and small and fits behind any power outlet. They have exactly the same functionality as the Crownstone plugs. If you know how to install ordinary electrical connectors (Dutch: “kroonsteentjes”), you will be able to install built-in Crownstones as well. The built-in Crownstones are perfect as infrastructure in buildings, such as hotels and nursing homes. Check the business part of our website if you would like to partner with us for a particular user segment. If you would like to read more scenarios and examples on how to use the Crownstones, enjoy the scenarios section! And of course, be sure to pre-order a few in the shop if you think presence and proximity is indeed gonna be the game changer that we predict it to be!